A view of the train station in Riomagiore. Perched on the side of the northwestern coast of Italy, the five villages that make up the Cinque Terre have survived since the late middle ages. This was our destination today; a long drive, but well worth it! 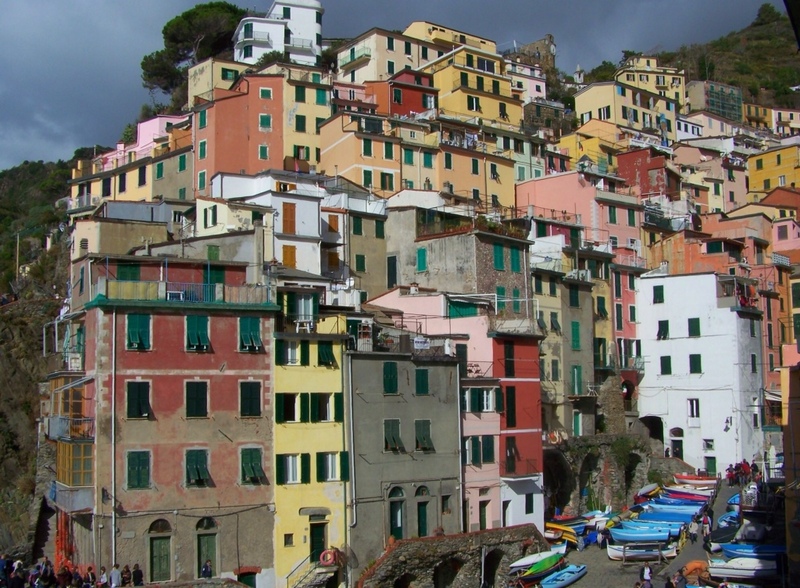 Homes and businesses nestle together on the cliffs of Riomaggiore. 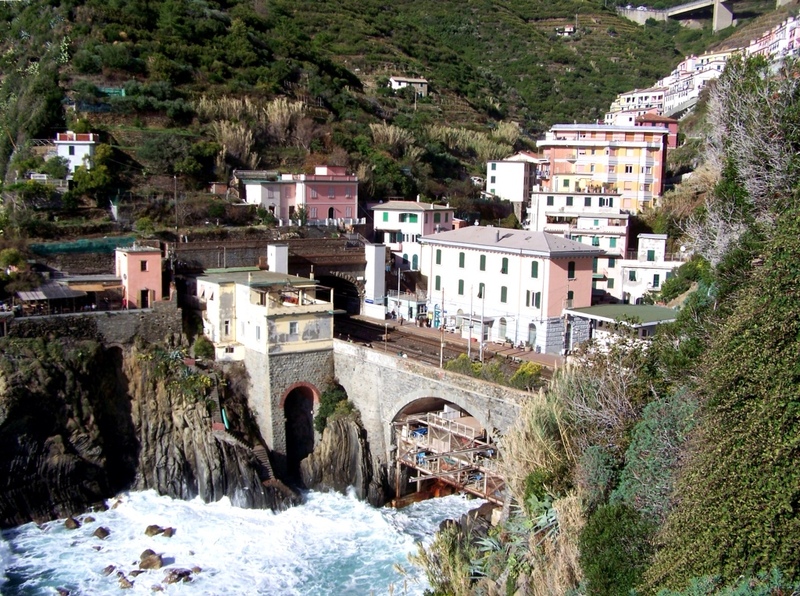 We drove to La Spezia, where we purchased a train ticket that would take us to each of the villages. We had hoped to walk between several of the villages along the ancient footpath known as the Sentiero Azzurro, but it was closed for repairs. We hopped off at the first stop; Riomaggiore and headed for the city center. Winding our way through some of the narrowest of walkways, we arrived at a bustling little harbor just in time for lunch! 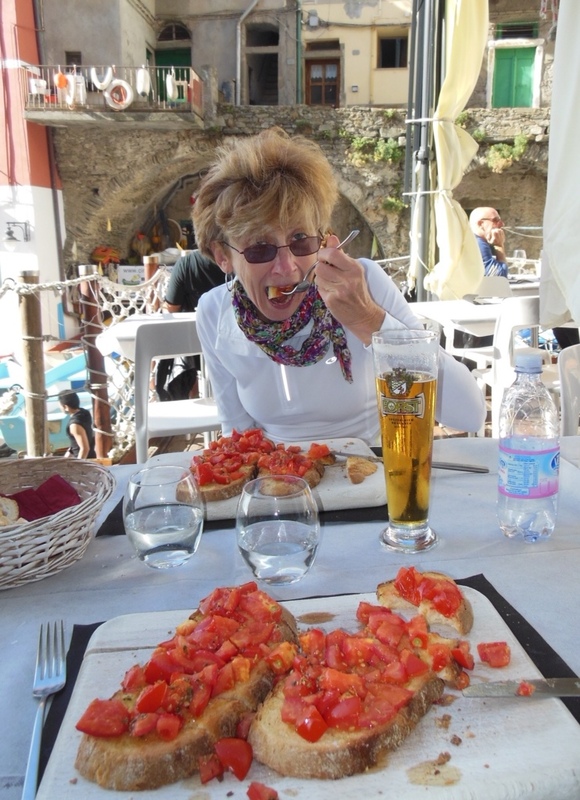 We probably could have shared one order of Bruschetta. The birra here is pretty good, but the food and red wine are even better. Try having some of each before you look at the blog, Chris. Cheers!